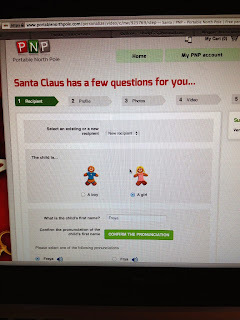 Recently I reviewed the new Santa Sprint app made by the lovely people behind Portable North Pole (PNP). I was kindly given the chance to review their premium video from Santa. 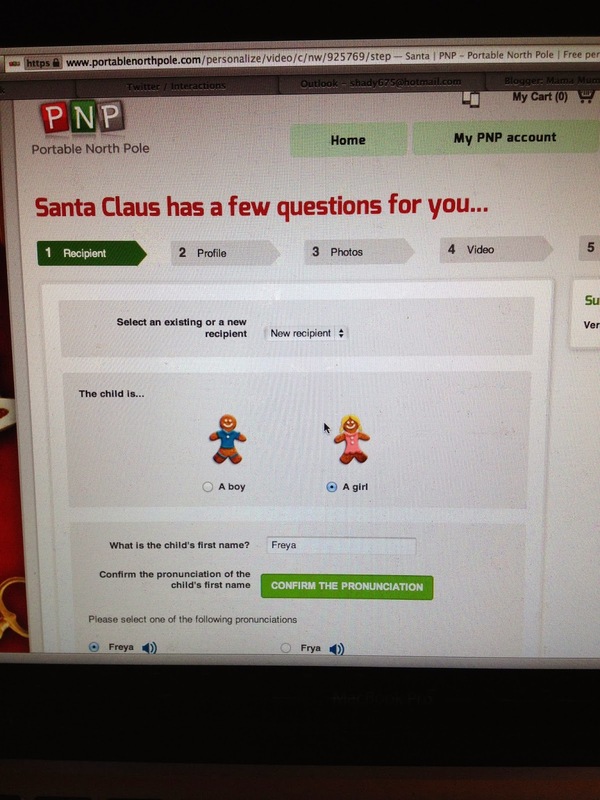 I have always love the Portable North Pole, this is the third year that I have used their site. Every year they expand what they do. As well as videos and phone calls, available in their store this year are letters from Santa, certificates to let your children know they are on the nice list and even personalised colouring books. 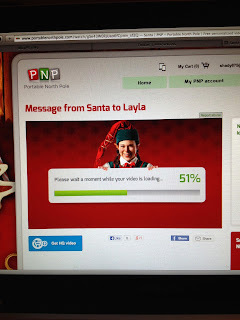 The Portable North Pole has actually been running for 6 years now and their videos allow family members to create a personalised message to their children from Santa himself, letting them know whether they have made it onto the naughty or nice lists. With a database holding thousands of names, you should be able to find your child's name and you can even listen to make sure the pronounciation is correct. I've always loved the free version however the premium version is fantastic, costing just £2.99 you get a lot extra for your money. The video itself is twice as long as the free version. You are able to choose from a wide range of scenarios and exclusive clips including watching the elves making certain toys and Santa standing with the reindeers. You can even make it that much more personal with extra images being added. Making the video is extremely simple and relatively quick, the only problem I really had which was the same as last year, was that I couldn't get the right pronounciation of Freya. The video itself is emailed to you once it is completed, it can be watched as many times as you like and unlike the free version which can only be watched during the holiday period, the premium version can be viewed until march. My girls got all excited whilst waiting for the video itself to load. 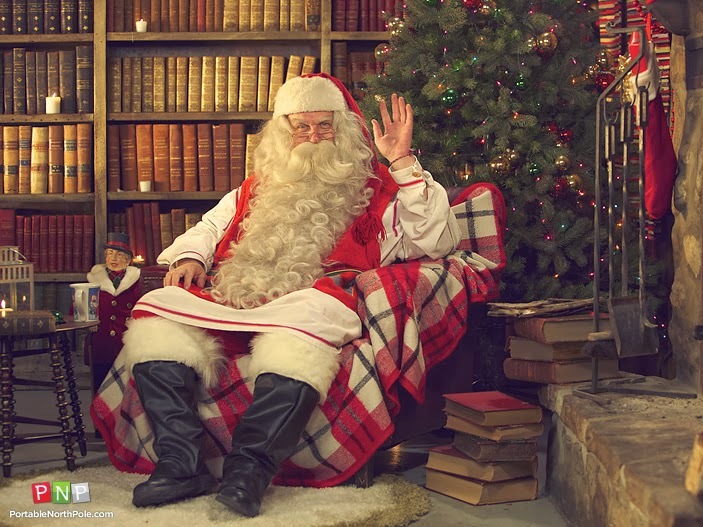 You also receive a bonus personalised video for your child to watch on Christmas eve, this is a really magical touch. I even enjoy watching the video, watching the reaction on my childrens faces is priceless!!! I can't recommend Portable North Pole enough, it has become a great tradition in our house, my girls were actually asking last week whether they would be receiving a message from Santa this year!! As a lovely gift to all my readers, Portable North Pole have provided me with a code for you all to use, helping make Christmas magical. This code will give you 20% off all digital products in the PNP store and is valid until the 1st January 2014. Disclaimer : I was provided with a code for a free premium video however all thoughts and opinions are my own.